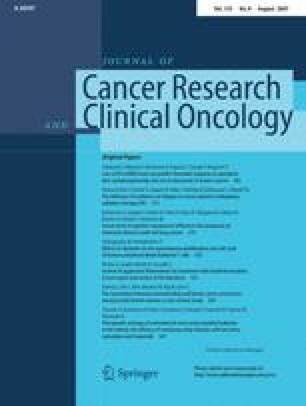 The primary goal of the study was to determine if resilience influences fatigue in a consecutive sample of cancer patients treated with radiotherapy (RT) at the beginning and at the end of the treatment. Out of an initial sample of 250 patients, 239 could be assessed at the beginning of their RT. Two hundred and eight patients were reassessed at the end of RT 4–8 weeks later. Measures comprised the Resilience Scale (RS), the Multidimensional Fatigue Inventory (MFI), and the SF-12 as a measure of health related Quality of Life (QoL). Medical data were continuously registered. As hypothesized, the sample revealed higher scores in the MFI and lower scores in the SF-12 than normative samples. Resilience scores were higher than in the norm population. Fatigue increased during RT. Using multiple regression analyses, fatigue scores at the beginning of treatment were shown to be higher in inpatients and patients undergoing palliative treatment. Initial fatigue was best predicted by the patients’ initial resilience scores. Changes of fatigue scores during RT depended on initial scores, decrease in Hb and the patients’ experience with RT. Resilience could not be determined as a predictor of changes in fatigue during RT. The study confirmed that fatigue is an important problem among RT patients. Resilience turned out to powerfully predict the patients’ fatigue at least early in RT. This result is in line with other studies, showing resilience to be an important psychological predictor of QoL and coping in cancer patients. On the other hand, resilience seems to have little influence on treatment related fatigue during RT. This work was supported by the Wilhelm-Sander-Foundation (FKZ 2002.071.1).